Dr Richard Watkins, lecturer and senior tutor in Sustainable Architecture at Kent School of Architecture has developed a system using helium-filled balloons to track air flow around the Nave of Canterbury Cathedral. Our MSc Architecture and the Sustainable Environment students Sam Leatt, Sukanya Ravi and Yikun Shang, along with Dr Giridharan Renganathan from Kent School of Architecture were in participation at the experiment which took place on Thursday evening. 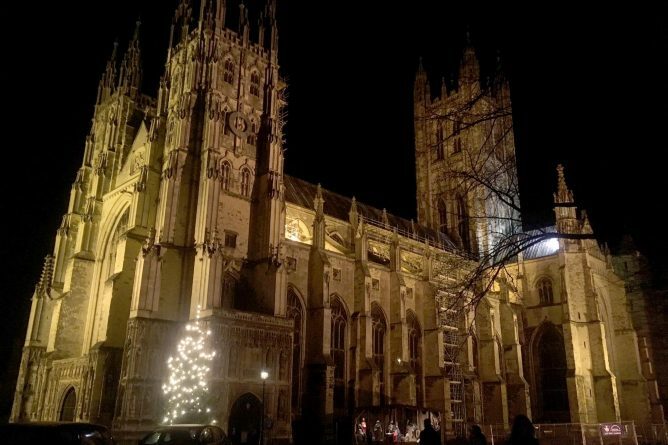 For more information, please click here which will take you to the brilliant article on Canterbury Cathedral’s news page. The video below by Canterbury Cathedral documents the experiment in action! 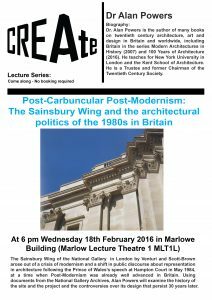 CREAte Research Centre’s recent Open Lecture was given by Dr Alan Powers on Wednesday 18th January 2016 in Marlowe Lecture Theatre 1. Dr Alan Powers is the author of many books on twentieth century architecture, art and design in Britain and worldwide, including Britain in the series Modern Architecture in History (2007) and 100 Years of Architecture (2016). 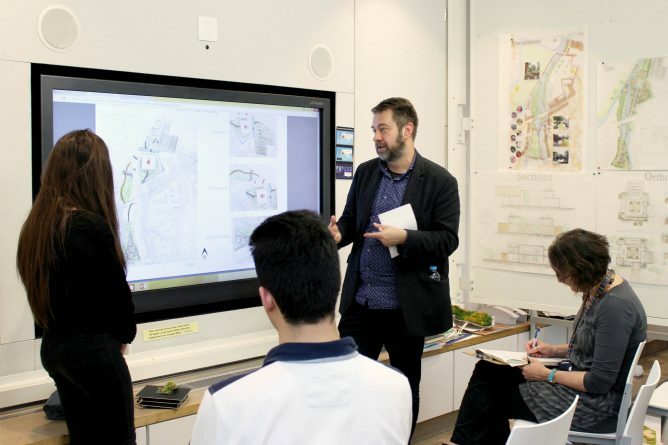 He teaches for New York University in London and the Kent School of Architecture. He is a Trustee and former Chairman of the Twentieth Century Society. 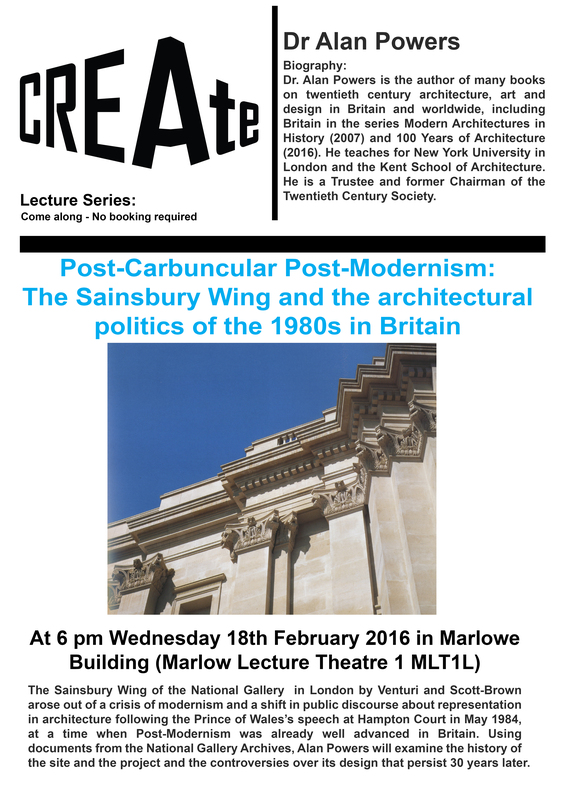 His lecture entitled, ‘Post-Carbuncular Post-Modernism: The Sainsbury Wing and the architectural politics of the 1980s in Britain’ explored The Sainsbury Wing of the National Gallery in London by Venturi and Scott-Brown which arose out of a crisis of modernism and a shift in public discourse about representation in architecture following the Prince of Wales’s speech at Hampton Court in May 1984, at a time when Post-Modernism was already well advanced in Britain. Using documents from the National Gallery Archives, Alan Powers will examine the history of the site and the project and the controversies over its design that persist 30 years later. Coming to the University of Kent was an easy decision for me as the course was exactly what I was looking for. 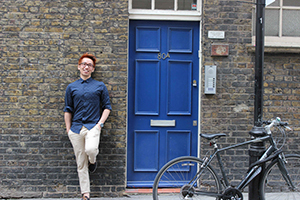 I previously studied Architecture at undergraduate level in Malaysia but I wanted to go in a more digital direction so the MA in Architectural Visualisation was the perfect choice. What were your first impressions of Canterbury? Coming to the UK to study was actually my first visit here. I spent some time in London before heading to Canterbury to start my studies and have found that there is not as many distractions in Canterbury as there is in London making it a great place to study! Canterbury is only a 15 minute walk away and there are lots of nice places to eat and drink. There are a lot of transport links in the city which take you out to the coast and there is also the high speed to London. Have you enjoyed studying at a campus university? The Canterbury Campus is full of green spaces making it a great place to be in sunny weather. I live in Woolf College which has a good mix of students from all around the world, the accommodation is quiet, making it a good place to study. There are plenty of food outlets and bars on campus, a campus shop, doctor’s surgery and all the other facilities that you will need. What are your plans after you have finished studying? I plan to look for a job in London after I have finished my studies. I would like to ideally get a job in the gaming or film industry in the future. I really enjoyed doing the ‘month project’ as it gave me the freedom to choose an area which interested me. My project focused on film animation, the film I used in my project was called Howl’s Moving Castle directed by Hayao Miyazaki. I have found the course quite demanding in terms of workload however I have learned an awful lot already. There is a nice mix of modules on the course and I have made some very good friends on the course. 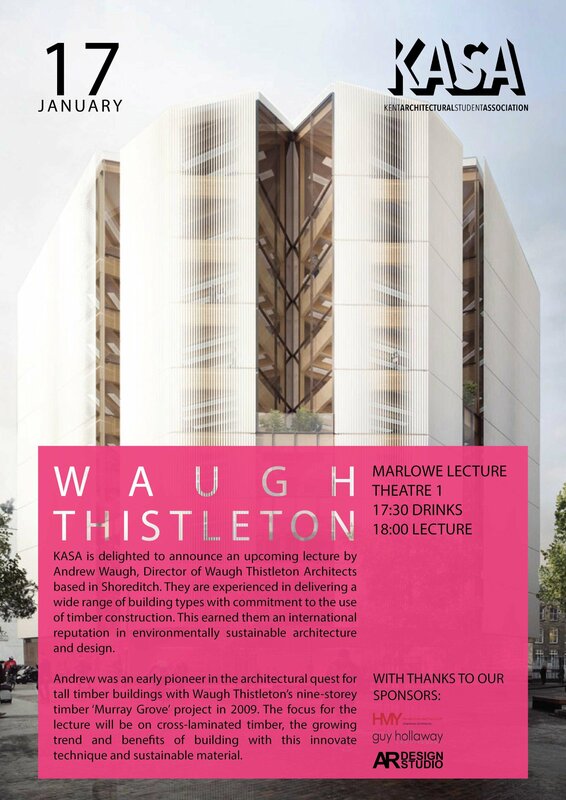 The first Kent Architectural Student Association (KASA) Open Lecture of 2017 will be given by Andrew Waugh, Director of Waugh Thistleton Architects on Tuesday 17th January at 6PM in MLT1. 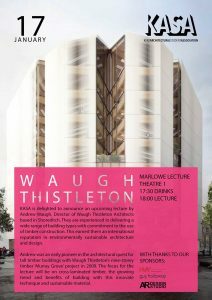 Waugh Thistleton Architects based in Shoreditch, are experienced in delivering a wide range of building types with a commitment to the use of timber construction. This earned them an international reputation in environmentally sustainable architecture and design. For further information about the practice, please click here. Andrew Waugh was an early pioneer in the architectural quest for tall timber buildings with Waugh Thistleton’s nine-story timber ‘Murray Grove’ project in 2009. The focus for the lecture will be on cross-laminated timber, the growing trend and benefits of building with this innovate technique and sustainable material.